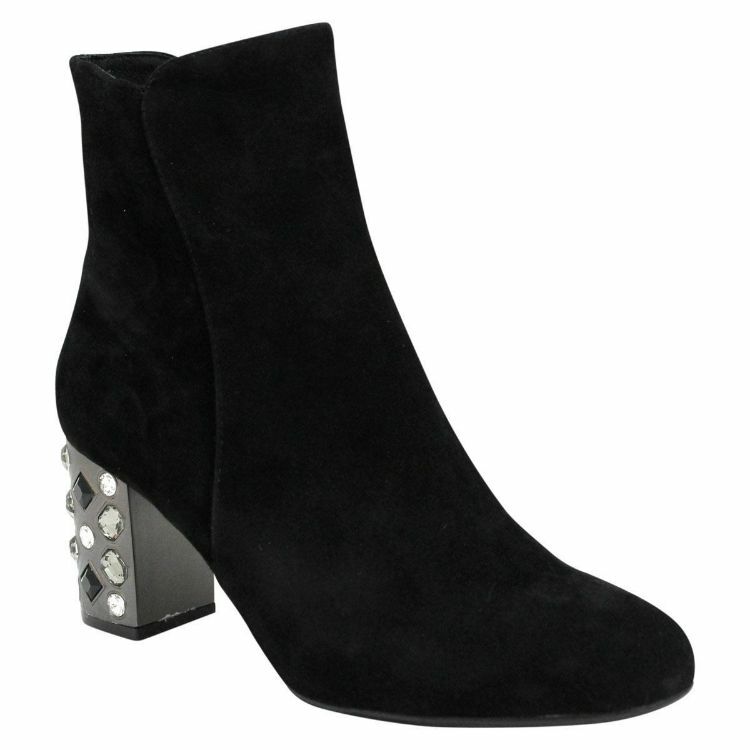 Arlie by Django & Juliette is a dressy suede, heeled ankle boot. You would wear Arlie on an evening out to a formal dress event. Arlie has a decadently embellished heel with silver, chrome and black gemstones. Arlie is made from super soft suede leather that will stretch to the shape of your foot. Arlie has a tulips lip edge and an inner ankle zipper for a streamlined finish. Arlie has a padded footbed and a blunt shaped pointed toe.